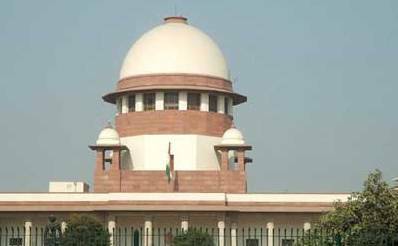 New Delhi, Nov 12 (IANS) The Supreme Court Tuesday asked the government to inform the steps taken by it to incorporate in the Food Safety and Standards Act provisions to curb the sale of adulterated milk, including synthetic milk, having serious consequences to the health of the people including children. A bench of Justice M.Y.Eqbal and Justice Shiva Kirti Singh sought the status report from the government in four weeks time as it was told that nothing has moved in the direction of amending the Food Safety and Standards Act, 2006 to incorporate stringent provision of punishment for making and selling synthetic milk. The matter will come up for further hearing Dec 10. The court’s order came as Counsel Anurag Tomar who appeared for the petitioner Swamy Achyutanand Tirth told the court that even though six months have passed since the court had asked the government to consider provisions for stringent punishment to curb the sale of adulterated and synthetic milk but nothing has moved. The apex court by its February order had said: "Considering the gravity of the situation as well as in larger public interest it is highly necessary that Union of India should think of making appropriate amendments in the Food Safety and Standards Act, 2006, so that such type of crimes could be curbed to a large extent." "We hope and trust that in the coming winter session of parliament, the government will take appropriate steps in this direction," the court said in its order Tuesday. The government said that the amendment was pending with the health and family welfare ministry for approval and as and when government takes a decision, it would be communicated to the court. Noting in its order that it was high time that the government came forward with a suitable amendment, the court told the government counsel that milk is consumed by the "new born babies and the public". As Tomar sought to tell the court that six months have passed since it had asked the government to consider amending the FSS Act, the government counsel said that the act is being amended and "it takes time". The need for amending the act arose when in the course of earlier hearing, the court was told that for the offences punishable under FSSA, the provisions of the Indian Penal Code are not attracted and the punishment under FSSA for adulteration was just six months. Tomar also told the court that its earlier direction to the state governments to amend the provision of criminal law to make production and sale of synthetic milk an offence attracting life imprisonment too has not been acted upon.